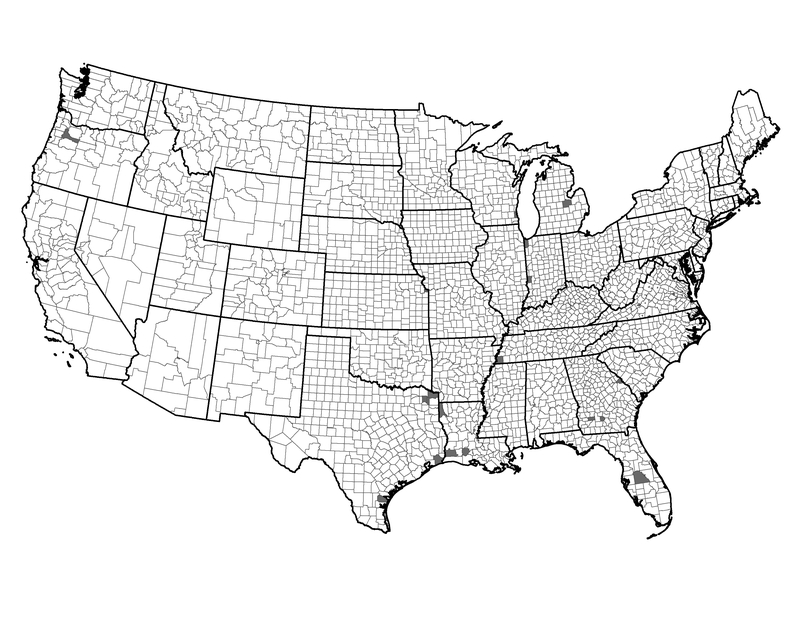 These counties occur mostly near urban centers in the eastern United States, with one county in Oregon (Marion). These areas experience high demographic stress along with moderate demographic advantage, and high ignitions. Many fires start within the Wildland Urban Interface (WUI). Example of a Typical County — St. Louis City County, Missouri: This county includes economically stressed St. Louis.